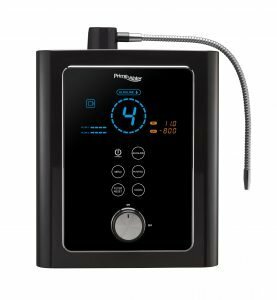 It is difficult to directly compare Ionizing Water Filters with other forms of water filtration because a water ionizer is so much more than a water filter. However as many customers have asked us to do so, we present below our comparisons, based on many individual tests and research. Charcoal Water Filters utilize charcoal derived from coconut husk as a water filter medium. This absorbs impurities as the water passes through. 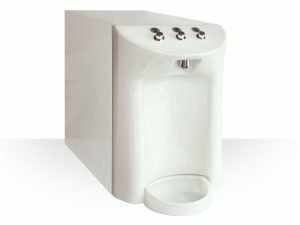 This form of water filter comprises possibly 95% of those in use domestically, because they are simple to install, relatively economical, and filter out the most deadly of water contaminants, Cryptosporidium and Giardia. An average charcoal water filter will last a family 6-9 months. 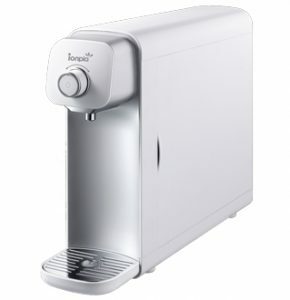 Some charcoal water filters are enhanced by the use of activated silver, which provides extra antibacterial protection. Minerals in solution can still permeate a charcoal water filter. These minerals are essential to health. • does not filter the water form heavy metals. Reverse Osmosis water filters use a fine membrane to filter through osmotic process. They take everything out of the water, leaving pure water . Usually installed under-sink, they require a serviceman to come every few months to install a new membrane. Distillers use electricity to heat tap water to boiling point. Impurities are left in the boiling container and the purified water condensate drains back into a clean container. They require a fair degree of power and cannot give immediate supply, because the boiling process must be completed before water is available. • suitable for water from wells . • need to be connected to the carbon filter remineralization and active filters . UltraViolet water filters use a UV light to kill bacteria in the water. They are very seldom seen in domestic units because of the problem of keeping the light clean. Some water ionizers have small UV lights fitted but they have been shown to have little or no effect. • require periodic washing of the filter. 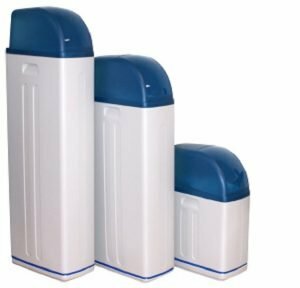 Backflush water filters: Every now and then a ‘new’ system appears on the market claiming to offer extremely long life without water filter changes. This is usually a backflush system. There are no proven long-term backflush systems on the market – probably because their claims of long life without water filter change never live up to the facts. They are almost always two to four times the cost of the basic charcoal water filter unit, but justify this by their claims of longevity. Fundamentally, this involves passing the water over or through a magnetic field. This has the effect of rearrangement of ions. 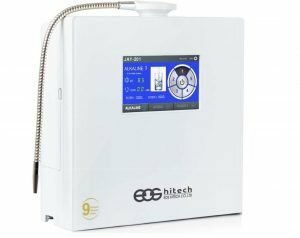 Without the fundamental ‘splitting’ of ions that occurs in the Water Ionizer (H2O to OH- and HO) lasting change is not possible, although many claims are made by the manufacturers. Free standing magnetic water filtration units do not filter the water or change it’s pH. We have tested units that utilize magnetism and have found a wide variation in results. These are usually attached at the entry of water to the home. They ‘align’ the water using various methods based to varying degree on the works of Viktor Schauberger, a pioneer in water research. Although they do ‘soften’ the water, they do not change the pH or the REDOX (Positive or negative charge) of the water, nor do they filter the water. 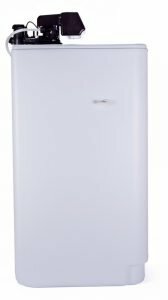 In our experience, water filters attached to systems with previously installed Energizers work extremely well. A number of units use vortex flow of water prior to output. They also appear to soften the water, but do not filter, ionize or change the REDOX potential of the water . The most well known of these is MICROHYDRIN, a tablet that when added to water, changes the REDOX dramatically. Normal dose requirement per person is 4 per day at about $0.50 each. A new entry to the market is “Unique Water” which is ordinary spring water with added magnesium carbonate. This wholesales at $0.55 per 600 ml bottle, and for minimum recommended therapeutic use, two bottles per person per day is recommended. For a family of four this comes to $1584 per year and slightly less than 3,000 plastic bottles per year. The water is not ionized. PiWater is the combination of conventional water filtration (sand bed, charcoal) with magnetic, mineral addition and FIR (Far InfraRed) energetics. 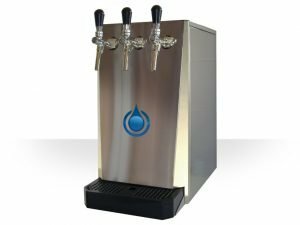 It acts like a standard countertop water filter but it also adds beneficial minerals to the water, changes the molecular structure, magnetizes and energizes using a unique form of ceramics. The Pi-Filter will last up to 3 years with normal use before needing replacement. • retain lead and other heavy metals. • filtering is used in combination with activated carbon to complete the spectrum of the filter. These above are some of the technologies filtration water purification and processing common today. We provide domestic water filters that filter water water all contaminants known (disinfectants: chlorine, chloramines, trihalomethane, halo-acetic acids, etc.. Chemical: fluoride, pharmaceuticals, agricultural waste, industrial detergents, volatile organic compounds, PCBs, etc. , heavy metals: lead, arsenic, aluminum, asbestos, copper, mercury, chromium-6, et x, even withradioactive particles Radionuclide: Radium, Uranium, Alpha and Beta particles. etc ) and other harmful contaminants with amazing accuracy 99 9% Water filters designed to filter water and fluoride and arsenic among other contaminants from those described, water filters designed to filter allmicroorganisms, viruses, bacteria, water filter sediment , etc..
We and other water filters besides those described above to address and resolve any issues you may have water (eg water too hard or too acidic water, etc). We can solve optimally and reasonable price. 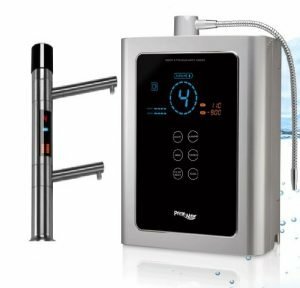 Domestic water ionizer water filter, water filter with 0.1 micron accuracychlorine, chloramines, bad taste, fluoride, Guardia, Cryptosporidium, ALL other micro-organisms and other contaminants common in water. What remains is the water clean and healthy, including essential alkaline minerals remaining. “” Plus “in the name refers to the recent re – engineering a water filter to remove chloramines additional (cancer-product of chlorination of water). To give you an idea of ​​how good this water filter – there are 25,000 microns in an inch. There are 250,000 in a 0.1 M inches. 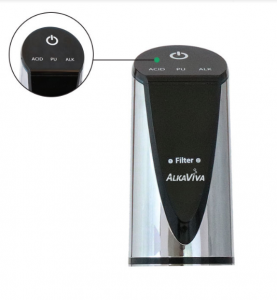 ONLY Biostone Plus water filter water ionizers AlkaViva (IonWays) include ingredients to help filter water chloramines and heavy metals. 9 stages water filter “state-of-the-art” Premium water filter that usessolid carbon block technology hydraulic & centaur vortex ..
Biostone Plus filter is designed to remove the water of chlorine and chloramines; filtering water trihalomethanes, phenols, sediment, odor, sour taste, organic waste, lead, pesticides and bacteria of all kinds. Activated carbon, granular standard contains space “negative”, which allows water to pass through them without coming into contact with the media. Solid block technology forces water to pass through a “wall” solid carbon that makes each water molecule to come into contact with the media. Biostone Plus uses superior grade Centaur carbon and solid technology – block – both industry firsts filtration – water ionization! c) 10-fold faster than the rate of absorption of the activated carbon granules. Increasing contact time for better removal of contaminants increased flow rates, and a more environmentally friendly manufacturing process that produces less waste. This type of recently improved KDF filter provides high water and chlorine bleach, most of the heavy metals (such as iron, mercury and lead), plus manganese and hydrogen sulphide. New body Biostone Plus contains stunning natural properties of hydraulic vortex, which reduces “channeling” and ensures optimum performance and longevity of water filter. 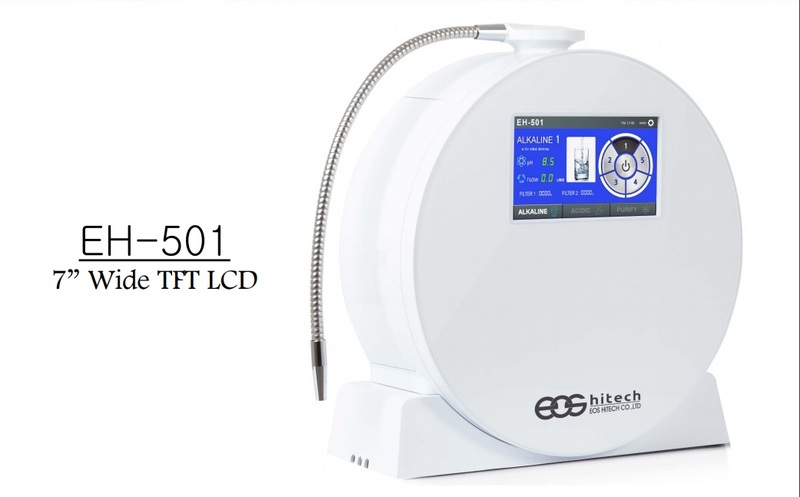 In addition contineO jewelry / gemstone that naturally emits infrared energy, which initiates negative ion creation even before the water is ionized and reduces the surface tension and all about tourmaline The benefits mentioned above ..
Alkaline water filter home with the best accuracy (lowest range micron) available water will filter virtually everything except essential and necessary alkaline minerals organism. image shows a single .01 M filter increased 40 times. HUNDREDS of it are in a water filter Biostone HOLLOW. Biostone alkaline water filter Micron .01 (.01 M) Carbon Silver impregnated Granular – chloruri filter, bad taste, Giardia, Cryptosporidium, ALL other microorganisms, funghi, bacteria and viruses and other contaminants from your water source. 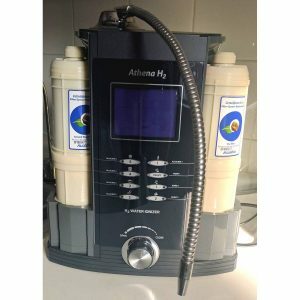 Compare this with your pure water / Purified – purifying water, distilled water (deuterium depleted water), water filter reverse osmosis (RO) water purifier filter water purifier and other make pure water / purified dangerous for domestic consumption, where you get pure water, which is often highly acidic and all the essential minerals removed! This filter water contains calcium and magnesium layer plus onetourmaline. 0.01 micron super – carefully – structured porous fiber system allows minerals to move, but removes viruses, bacteria, cysts and parasites. Silver is also impregnated carbon to ensure that bacteria can not grow in the media. Because it is embedded, or impregnated carbon, the silver does not leak water. Tests conducted by the Department of Health show that Seoul no trace of silver is not released from these water filters. Function uses charcoal water filter that is created by burning palm carbon at high temperature. This is a function to prevent secondary pollution. This filter contains a filter fabric triple, so no need to worry about the spread of germs. 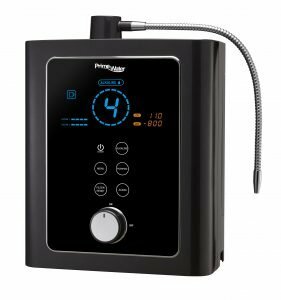 Tourmaline in this patented alkaline water filter onizata / patented “state-of –the-art” and really make a difference in the ability to carry a load water ionizer naturally. When water passes over the tourmaline crystals the ORP (oxygen reduction potential) is naturally decreased and the water becomes more bio-available. 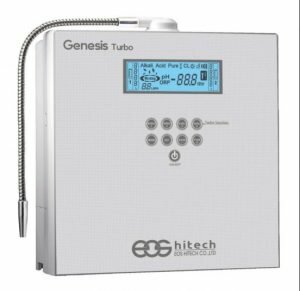 What this means is if water passes through this filter water ionizer right offelectric – Ionized water will come out! Improves the capacity of the electrolysis, and provides an important alkalinemineral water enhances the taste. ONLY water filter that filters water from all contaminants known water(disinfectants: chlorine, chloramines, trihalomethane, halo-acetic acids, etc.. Chemicals: fluoride, pharmaceuticals, agricultural waste, industrial detergents, volatile organic compounds, PCBs, etc. , heavy metals: lead, arsenic, aluminum, asbestos, copper, mercury, chromium-6, et x, even withradioactive particles Radionuclide: Radium, Uranium, Alpha and Beta particles. etc ) and other harmful contaminants with amazing accuracy 99 9%. 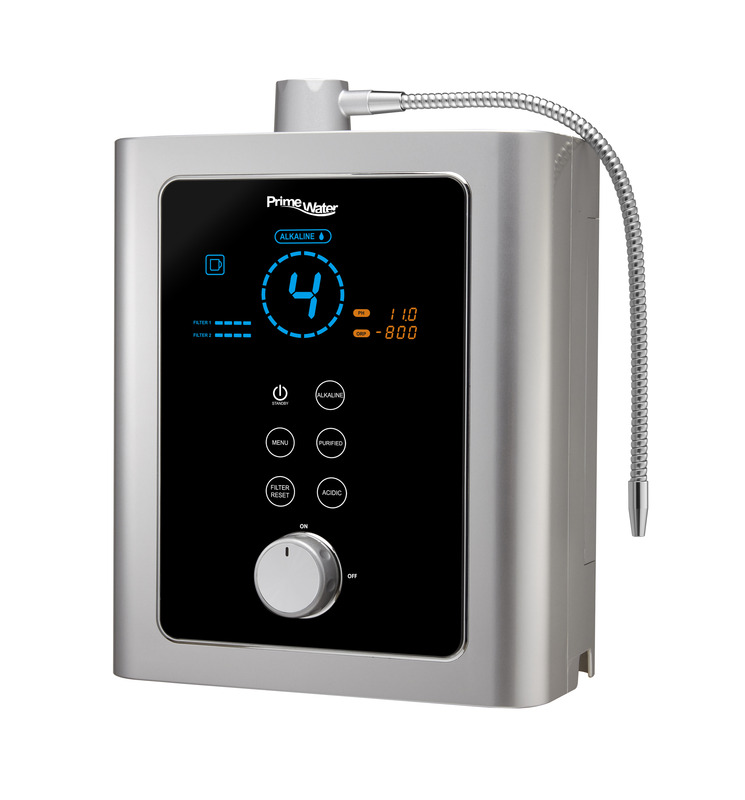 ONLY water ionizer filter tested in an independent laboratory to U.S. government standards EPA / NELAP, Certificate. 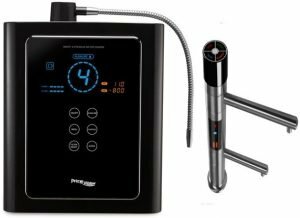 ONLY ionized water filter designed using PCA certified water specialists, engineers and doctors. Created with doctors and do not eliminate natural mineral water healthy (aspurified water, distilled water (deuterium depleted water), water filtered by reverse osmosis (RO and others). 100% natural materials, no chemicals, all natural and sustainable media,including tourmaline. Reduce the amount of plastic waste by 95%. He created a revenue stream to help others enjoy clean water and healthy. 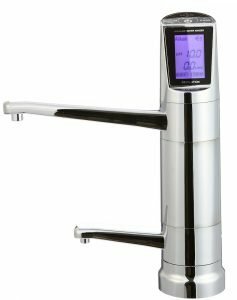 These water filters are water filters AlkaViva domestic water ionizers AlkaViva, proprietary standards developed in U.S. EPA certified NELAP. Apa IONIZATA AlkaViva are multiple proprietati si beneficii pentru sanatateUNICE ( pe care nici un alt tip de apa nu le poseda) printre care: apa minerala FARA contaminanti, apa structurata cu legături de hidrogen, apa structurata molecular în grupuri/clustere apa de 4 – 6 molecule H20 , apa cu formă hexagonala ( ca un fulg de zăpadă ), apa alcalina cu un pH EXTREM de alcalin ( de 100 la mii de ori mai alcalin decât orice alt tip apa ), apa bogata in oxigen activ (toate celelalte ape sunt lipsite de acest beneficiu) , apa cu milioane de ioni de hidroxil per sticlă si apa ce ofera un puternic ANTIOXIDANT , numit -ORP , apa VIRGINA – apa ” PURA “ – apa a carei memorie electromagnetica EMF a fost RESETATA la ZERO , apa VIE ( NUMAI apa ionizată alcalina are această calitate) , apa cu proprietati super conductive , apa care are o tensiune joasă de suprafață, apa cu polaritate pozitivă . Apa alcalina ionizata este foarte pozitiv perceputa de organsim si fiintele vii. Apa alcalina ionizata este de mii de ori mai sanatoasa pentru corpul tau decat orice alta apa . Pericolele de a folosi material plastic discutate aici si aici . .
NU am comercializat intotdeauna ionizatoare apa EmcoTech. 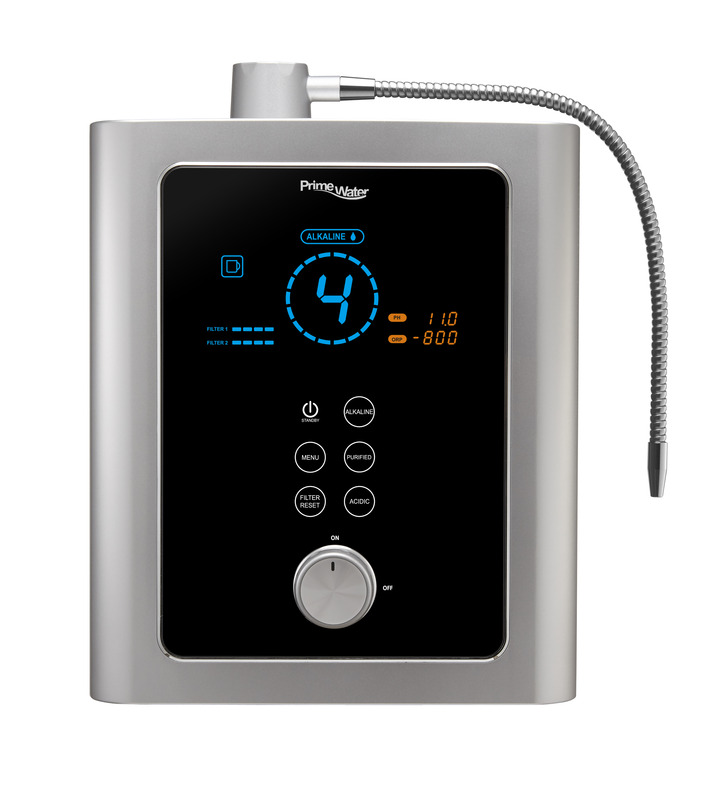 Impreuna, noi cei de la AlkaViva, am importat si produs filtre apa si oferit suport si chiar am detinut si alte firme precum Kangen EnagicTM, Toyo , AlkaBlue, Nexus , , KYK, Tyrent,Life Ionizer si multe alte firme de TOP ( nu ne referim la marci ieftin construite China/Taiwan precum Chanson, etc) . Cu toate acestea, de-a lungul timpul;ui , am ajuns la concluzia ca ionizatoarele produse Emco Tech sunt cele mai bune si acestea merita promovate si sustinute prin garantie service si suport, filtre apa speciale, kituri conversie si multe altele de catre noi, echipa AlkaViva. Acestea sunt motivele pentru care aparatele filtrare – ionizare de apa AlkaViva/EmcoTech sunt cele mai bune (plus bine vandute , recunoscute si recomandate de cei mai multi experti cat si utilizatori ) din LUME. Si ORICE ALTA problema ar putea avea apa dvs (de exemplu apa prea dura sau apa prea acida, etc) o PUTEM rezolva in mod optim si rezonabil ca pret. Un dispozitiv ce genereaza apa IONIZATA AlkaViva are multiple proprietati si beneficii pentru sanatate UNICE ( pe care nici un alt tip de apa nu le poseda) printre care: apa minerala FARA contaminanti, apa structurata cu legături de hidrogen, apa structurata molecular în grupuri/clustere apa de 4 – 6 molecule H20 , apa cu formă hexagonala ( ca un fulg de zăpadă ) , apa alcalina cu un pH EXTREM de alcalin ( de 100 la mii de ori mai alcalin decât orice alt tip apa ) , apa bogata in oxigen activ , apa cu milioane de ioni de hidroxil per sticlă si apa ce ofera un puternic ANTIOXIDANT , numit ORP . (nici un alt tip de apa NU are acest avantaj incredibil) , apa VIRGINA – apa ” PURA “ (apa a carei memorie electromagnetica EMF a fost RESETATA la ZERO) , apa VIE (NUMAI apa ionizată alcalina are această calitate) , apa cu proprietati super conductive , apa care are o tensiune joasă de suprafață, apa cu polaritate pozitivă .NICI UN ALT TIP DE APA NU ARE TOATE ACESTE PROPRIETATI SI BENEFICII SIMULTAN. Credeti ca nu va permiteti un ionizator de apa de CALITATE AlkaViva(oricum mai rezonabil la pret ca alte firme cu produse demonstrate a fi inferioare ) sau ca acesta nu isi amortizeaza costul in termen foarte scurt ?Faceti dvs un calcul simplu (nu dorim sa va influentam ) si comparati cu cat cheltuiti pe apa imbuteilata tipica ( nu ASD la 25 lei litru ci “ieftina” apa imbuteliata “doar “cativa lei sticla 2 litri), ca famile, la un cosnum zilnic mediu de 2 litri per membru, doar intr-un an. Veti ramane surprinsi cat de RENTABIL este de fapt un aparat filtrare- ionizare apa de calitate AlkaViva ,care eo investitie pe ..ViATA! Totusi, AlkaViva e NUMARUL 1 PE GLOB si datorita faptului ca , desi are zeci de premii, brevete, certifcari, aprobari , sustineri, departament impresionant de R&D (cercetare- dezvoltare) si nu in ultimul rand PRODUSE DEMONSTRATE si TESTATE IN TIMP a fi cele mai bune din LUME ( nu doar in testele laborator independent) , este si o firma profesionista si corecta in afirmatiile facute: afirmatii NEargumentate NU isi au locul . Companiile partener cuvechime maxima , cele mai de încredere și de succes indomeniul ionizatoarelor de apa din LUME. Official Partner AlkaViva (not just import EmcoTech)involving all the above advantages and the certaintythat we will be present for support, service, spare parts and filter the water long after other companies have come and gone. 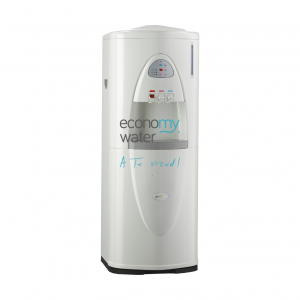 Benefits and unique properties ionized water – living water molecular structured water, micro-clustered water snowflake hexagonal water, powerful detoxifying water, water with high pH water with high oxygen powerful antioxidant water – ORP, Virginia Water – Save Water EMF reset – water LONGEVITY ! Reduce and combat the symptoms of many common diseases. Increase energy levels. Increases vitality – living water, and reduce biological age. Cleanses and detoxifies the body(better than any program detoxification) andprotects against oxidative stressthrough antioxidant (more potent than whole bottles of vitamin C ). ionized water, living LIVING WATER ,deuterium depleted water distilled or reverse osmosis filtered water, tap water and spring water. These comparisons on water filters are derived from our own experience and research. This comes from factory supplied test data plus certified laboratory tests we have had commissioned. We do not guarantee that every result is correct because we rely on data given us by suppliers. Previous PostAlkaViva Water Ionizers Endorsed by Dr. Robert O YoungNext PostReverse Aging with Alkaline Water!